From the sanctorum of Puri temples to the bylanes of Kolkata, Nepal and Rajasthan to the power corridors of Buckingham Palace, Rosugulla remains ancient India’s best culinary invention. Rosugulla was one of the few things (Bhel Puri aside), the recipe of which Harold, in spite of his on-field research, failed to acquire. Every home he walked to gave him a different recipe and a different technique to work with. Unable to replicate the result, and already having started a mutiny with one soldier being shot in rage by the English officer he came to serve, Harold left the country but with 10 boxes of rosugulla believing that he will eventually be able to recreate the dish his people took fancy to. Whether he ever succeeded in recreating the dish or the British version of this 13th century sweet dish remains a mystery. What however is known, is how addicted our colonial rulers were of the sweet dish, whose origin was inside the temple of Puri in Odisha. Lady Edwina Mountbatten is said to be rather fond of the sweet dish, and so was William Hasting. History tracks down the origin of rosugulla to Puri in Odisha, where this 700-year-old sweet dish was part of a ritual. 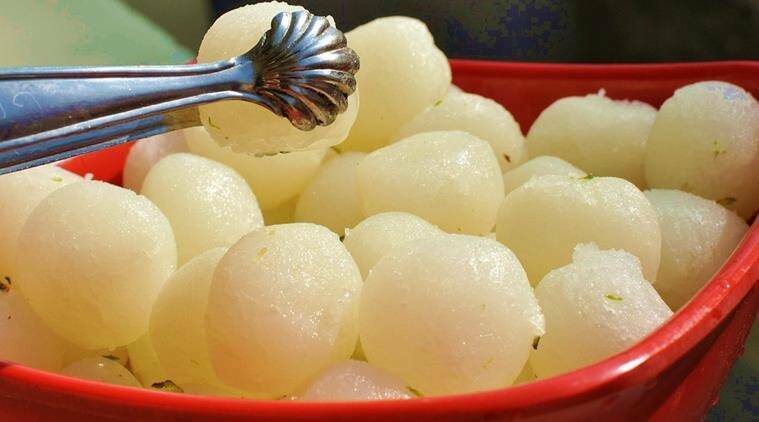 Known as Khira mohana due to its almost white appearance back in the 11th century, it was customary to offer this chenna sweet dish to Goddess Mahalakshmi as prasad, especially on the last day of the Rath Yatra, also called Niladri Vijay. 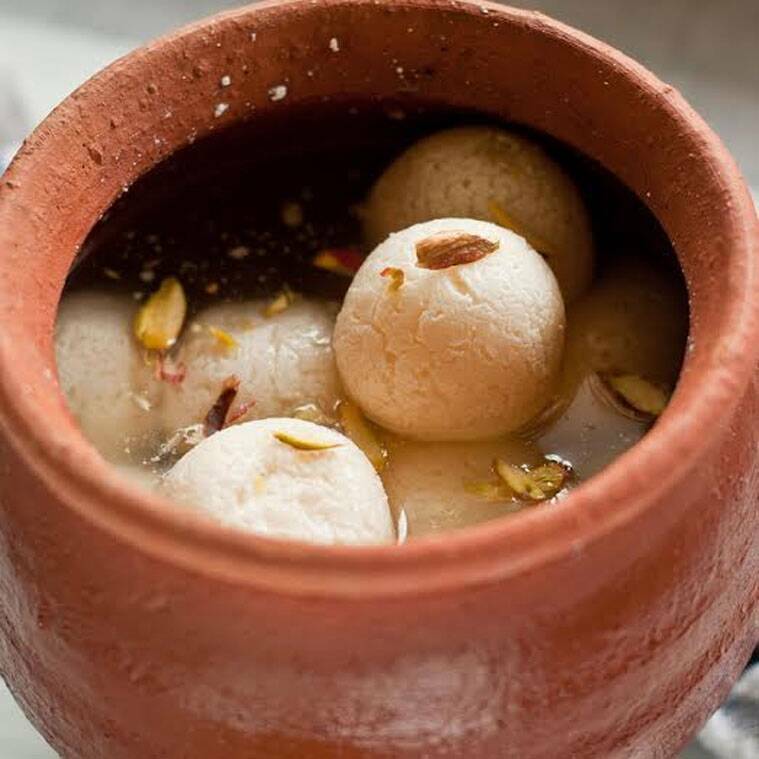 According to mythology, Jagannath, an avatar of Vishnu, to appease Lakshmi, his consort, on returning from Gundicha temple after a nine-day vacation (Rath Yatra) had offered her rosugulla as a present to get entry into his home. Since then, it’s a ritual that is followed annually. In fact temple text suggests that rosugulla was in existence nearly 700 years ago and was invented as a tribute to Lord Jagannath’s eyes. That perhaps explains why rosugulla, especially the Oriya variety, is big and slightly oblong compared to West Bengal rosugulla which resembles a ball. How did the sweet dish reach out of the temple’s periphery given that temples kept their recipes well guarded is unknown. But folklore has it that it was one of the priests who began teaching people the art of milk curdling and making rosugulla after he saw villagers throwing milk because it was in excess. Interestingly, for the villagers of Phala (a hamlet in the outskirts of Bhubaneswar the capital city of Odisha) this came as a blessing in disguise. This tiny hamlet was in fact home to more cows than humans, and milk was always in excess. Such is their expertise with chenna (ricotta cheese) that Phala soon emerged into the biggest market for chenna-based sweets and for rosugulla. In fact, it became a pit stop for anybody traveling across Odisha. The other variant of rosugulla that Odisha is famous for is the one from Salepur (yet another rosugulla making hamlet in Odisha near Cuttack). Bigger, softer, creamier with a velvety cream like appearance, this variation of Khira mohana was developed by a local confectioner, Bikalananda Kar. Called the king of sweetmeat makers, Bikalananda is often credited with inventing the real ‘rosugulla’ that most are familiar with. The technique of steaming the cheese balls and then allowing them to slowly rise in the sugar syrup was a technique that was mastered by him. 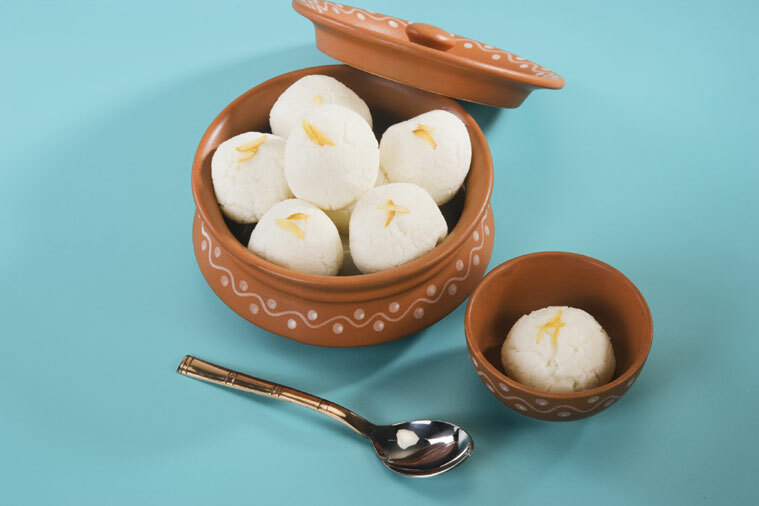 Many believe that it was this version of rosugulla that the creator of ‘sponge rosugulla’ Nobin Chandra Das tried to borrow and take to Bengal for creating an alternative to the dry sandesh. Alas, it wasn’t to be. Having failed at replicating the complex process, Nobin finally designed his own version using reetha and creating bubbles that could trap the cheese balls and lend them a sponginess that gave them extra shelf life without the need of being doused in the syrup and also an interesting beehive texture that made it chewy. The popularisation of the rosugulla was because of Bhagwandas Bagla, a wealthy non-Bengali merchant residing in Kolkata. The story goes that Bagla was on his round, when his son felt thirsty. Bagla send his helper to Nobin’s shop for water. As etiquette goes, Nobin offered him a glass of water with one piece of rosugulla. Watching his son relish the piece, Bagla too tried the ‘rosugulla’ and loved it. Later on, with Nobin’s son K C Das introducing canning, rosugulla became less perishable and could travel more distance. And the rest as they say was history. With Bagla and his fellow traders, rosugulla travelled from Nepal, where it became rasbari to Rajasthan where it was adopted as rajbhog to UP where it became rasmalai to Benras and even the offices of the East India Company, where it became the official ‘cheese dumplings’ treat. Incidentally, while the dish brought in new versions across India, it did spew an array of different sweet dishes in its own place of origin. The chenna jhili, chenna pauda (the first cheese cake in India) the rasbali (fried chenna pancake), chamcham, rasmalai and even the famous Kamala bhog were desserts that were inspired by the humble rosugulla or the erstwhile Khira Mohana. * Boil the cow milk and remove from flame. Let the milk cool to 50 degrees and add whey. * Keep stirring slowly after time intervals till the whey separates. * Hang the curdled cheese in muslin cloth in cool environment and let all the water drain. * In a separate pot put sugar and water together and set to boil when sugar syrup starts to boil add milk to clarify the sugar by continuously removing the scum. * When all the whey is drained from the chenna start kneading with the back of your palm for 15-20 min till it becomes light and airy. * Form small balls of this chenna and steep them in boiling sugar on high flame. * Slowly the chenna balls would fluff up and when cooked would start floating in syrup. * Cool the rosugulla and serve chilled garnished with pista flakes.